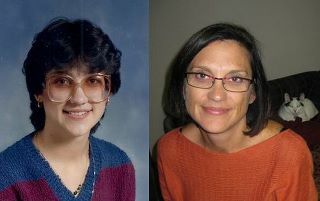 Congratulations to our Facebook "Ugly Glasses" contest winners. Susie Franke is wearing her new Cole Haan eyeglasses and Ken Mai sports his new Revo sunglasses. They were voted most deserving of a free glasses makeover. We are seeing more store brands of contact lens solution coming from overseas. This is a concern because we try to buy U.S. made products when possible, and the uncertainty about the quality of the foreign solutions. Patients have had the most success with Bausch & Lomb's latest solution Biotrue and Alcon's Optifree. Biotrue is made in South Carolina and Optifree in Texas.